Heidi got an Associates in Animal Science from the Stockbridge School of Agriculture in 1977, and a Bachelors of Science Recreation Management and Regional Planning University of Massachusetts in 1981. Heidi has held employment with state, federal, and municipal agencies including being a coordinator of community development, parks and recreation management. Heidi has also been involved in nonprofit management as an executive director, business manager and founding Board member. 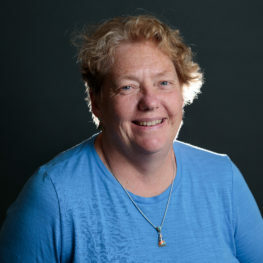 She was also a co-founder and owner of retail and tourism based recreation business named Umiak Outfitters in Stowe, VT. Heidi started with the VtSBDC as an advisor for the Vermont Food Venture Center of the Center for Agricultural Economy from 2010-14, and now is a regional advisor in the Northeast Kingdom since 2015. Heidi’s specialty is value-added food production, tourism and organizational development including staffing and supervision.